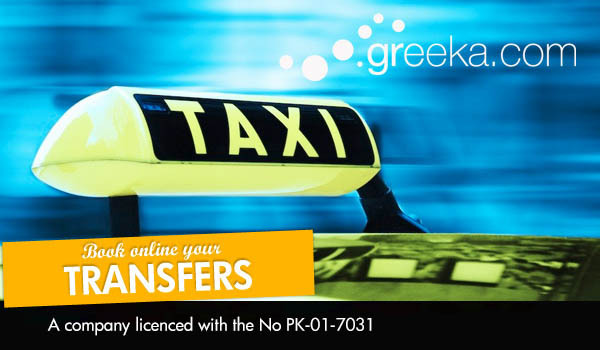 Book your Greece transfers with Greeka.com and be sure that you will receive a high-quality and efficient service. Feel secure that a taxi driver will be waiting for you at the airport or port gate upon your arrival, ready to transfer you to your hotel. Avoid all troubles, long wait at the taxi queue and possible overcharges. Our prices include all fares, VAT and any lawful charge, like night charge, therefore you know that what you pay is the final price for your transfer. 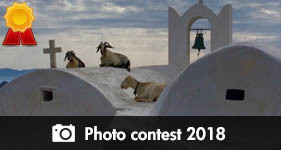 We organize Greece transfers in most popular islands and locations. 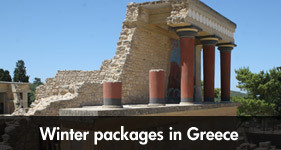 Why book your transfer in Greece in advance? Normally many tourists may wonder why they need to book a transfer in Greece. Are the local taxis not sufficient in number? Will they get a better price if they book their Greece transfer online and in advance? Will they avoid any kind of deception? The answer is somehow found in all these questions. Taxis in Greece are generally many in number, especially in Athens. Upon your arrival at the airport of Athens, you will see a large taxi queue outside the exit gate. You will also see such queues at the ports when ferries are coming or at taxi stations around the town. So, why need to book your transfer in Greece, when there are so many taxis? The most important reason is that you get a personal service from a trustful taxi driver. You will not have to wait at the large taxi queues of port or airport gates after a long and tiring trip, until it is your turn to board a taxi. A taxi driver will be there waiting for you, with your name on a sign. Also you will not have to worry about the price of the taxi meter, as you will have already paid for this transfer, including any extra fees like luggage, night charge or any other lawful charges. This service is particularly useful if you are a large group of friends or family. You can book your Greece transfer in a mini bus so that you travel all together and share the transfer expenses. It will certainly be more affordable to book a mini van for your transfer than take 2 or 3 taxis on the spot. Also you can book long transfers from one Greek city to the other through our system. This service is particularly useful if you need to travel at a time or place where there is no convenient public transportation. Moreover, this taxi transfer is more economic than public transport if there are also other passengers to share the cost.